Bradley Lake is the largest hydro project in Alaska. We provide earthquake monitoring for the project using two strong motion sensors in the dam and two broadband stations nearby. 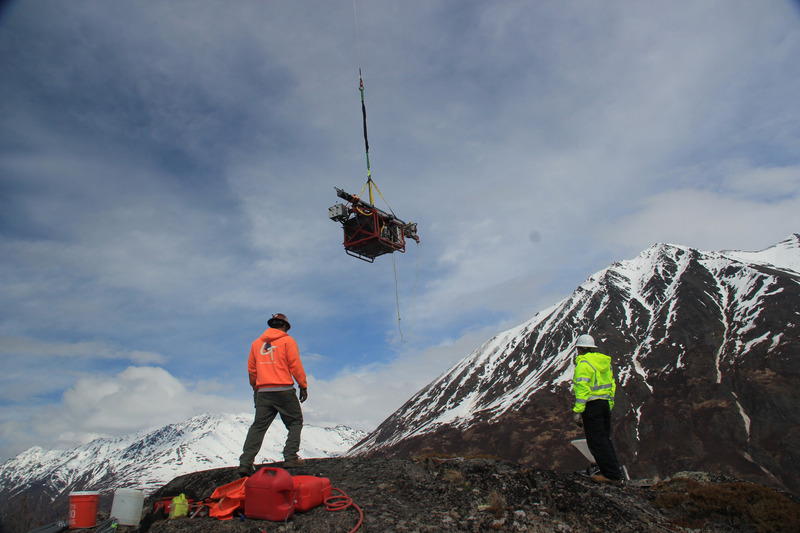 Flying in the drill for the USArray sensor upgrade at KNK, above the Knik Glacier. This project will bring seismic monitoring of unprecedented quality and coverage in Alaska. UNAVCO's station in Akhiok relays seismic data from Earthquake Center stations on Sitkinak and Chirikof Islands, allowing us to monitor activity close to the plate boundary. The Earthquake Center works closely with the Alaska Division of Geological and Geophysical Surveys to model tsunami wave dynamics and map potential inundation for coastal Alaskan communities. 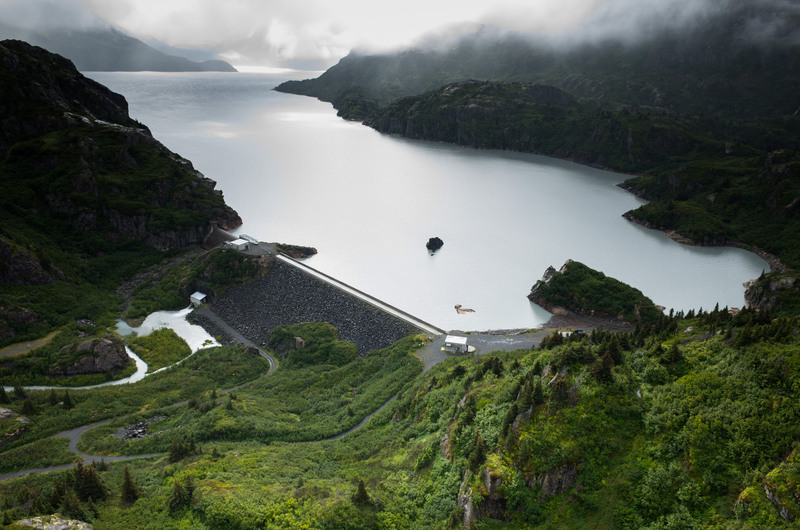 For the Alaska Energy Authority, the Earthquake Center monitors the Bradley Lake Hydroelectric Project with four seismic stations located at and around the dam. The State Seismologist represents the Earthquake Center on the Alaska Seismic Hazards Safety Commision, which recommends goals and priorities to the public and private sectors for seismic risk mitigation. The commission also makes policy recommendations to the governor and legislature for reducing the state's vulnerability to earthquakes. 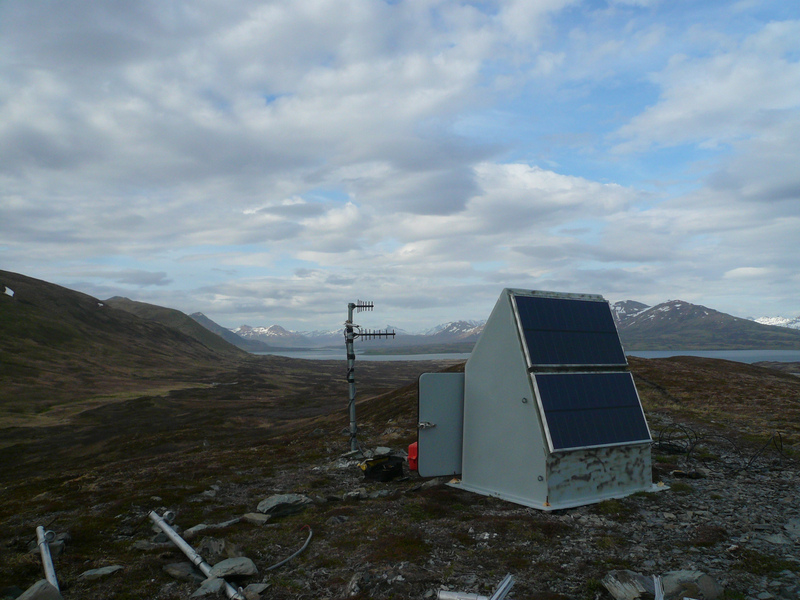 The Alaska Volcano Observatory's seismic networks improve our ability to rapidly and accurately locate earthquakes, especially in the Alaska Peninsula and Aleutians. The Earthquake Center monitors the Trans Alaska Pipeline System for potentially damaging earthquakes, providing Alyeska Pipeline Service Company with detailed information within minutes of any earthquake that could affect pipeline operations. The Earthquake Center shares data with researchers and agencies worldwide via the IRIS Data Management Center. We have also partnered with IRIS on the Alaska phase of the USArray project. The National Oceanic and Atmospheric Administration directly supports the maintenance of several Earthquake Center stations that are critical for assessing tsunami hazards and issuing tsunami warnings. Our data-sharing partnership with the National Tsunami Warning Center allows NTWC to use Earthquake Center data for tsunami forecasting while the Earthquake Center uses NTWC data to locate earthquakes. UNAVCO's Plate Boundary Observatory measures earth deformation with its arrays of Global Positioning System receivers and other geodetic instruments. The Earthquake Center works with PBO to minimize costs by sharing station infrastructure and communications links at locations across Alaska. Under the auspices of the Advanced National Seismic System, the Earthquake Center works closely with the USGS to record and report all Alaska seismicity to a high standard of quality and completeness. The Earthquake Center also provides real-time earthquake locations for Alaska to the National Earthquake Information Center.